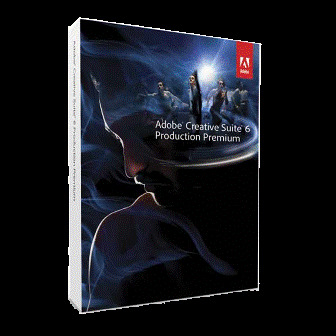 Adobe® Creative Suite® 6 Production Premium software offers a sleek, fresh editing environment in Adobe Premiere® Pro; 3D tracking and extruded text and shapes in Adobe After Effects®; new Content-Aware tools in Adobe Photoshop® Extended; and faster editing in Adobe Audition®. New additions are Adobe Prelude™ for logging and ingest and Adobe SpeedGrade™ for color grading and finishing. Let ideas flow in a sleek, fresh Adobe Premiere Pro editing environment. Use tools like extruded text and shape layers in After Effects, new GPU-enabled effects in Photoshop, and color finishing in SpeedGrade to take creativity from inspiration to realization. Efficiently move among Production Premium components that dynamically share 64-bit memory, offer native file support to avoid data loss, and support Dynamic Link for real-time work without intermediate rendering.